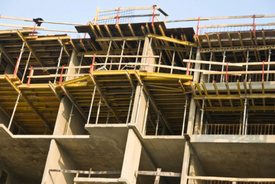 Legal news for New Jersey construction accident lawyers – Construction worker falls four stories from hotel and dies from internal injuries, investigation underway. Construction worker dies after falling four stories from hotel. Seaside Heights, NJ (www.NewYorkInjuryNews.com) – Graham Stirling, 43, of Toms River, fell to his death Monday April 12, 2010, while working on a hotel in Seaside Heights, according to www.NJ.com. It was Stirling’s first day on the job. According to reports, the Stirling fell four stories from the White Pearl Hotel, located on Sumner Avenue. Police Captain Thomas Hayes, of the Ocean County Prosecutor’s Office, said police received a call informing them of the fall at approximately 9:11 a.m.
Stirling was pronounced dead at the scene at approximately 9:25 a.m.
Dr. Dante Ragasa, the Medical Examiner for Ocean County, performed the autopsy and reported the man died from head, chest and abdominal injuries resultant from the fall. The accident is under investigation. The Occupational Safety and Health Administration, (OSHA) www.osha.org, has been notified as well, according to Hayes. Stirling worked for Murph Construction Co. Inc. of Seaside Heights. The company is performing renovations on the White Pearl Hotel. In a report released by the U.S. Bureau of Labor Statistics, fatalities in construction and extraction occupations accounted for one-fifth of all occupational fatalities in 2008. Legal News Reporter: Tara Monks – Legal news for New Jersey construction accident attorneys.